Whenever there is a design project that is necessary to be conceptualized, planned, or presented, there is always a need for a design brief to be made. A design brief serves as the consultation document that allows the client and the design team or professional to collaborate and come up with an initial agreement of where the design project will be heading or directed to. You may also see event brief tips and examples. Through a design brief, all stakeholders can be aware of the design project’s scope, terms, and limitations. Creating a design brief can be time-consuming especially when it comes to the drafting of the design project requirements and demands. Referring to existing design brief examples can make the task of developing the document faster and easier. 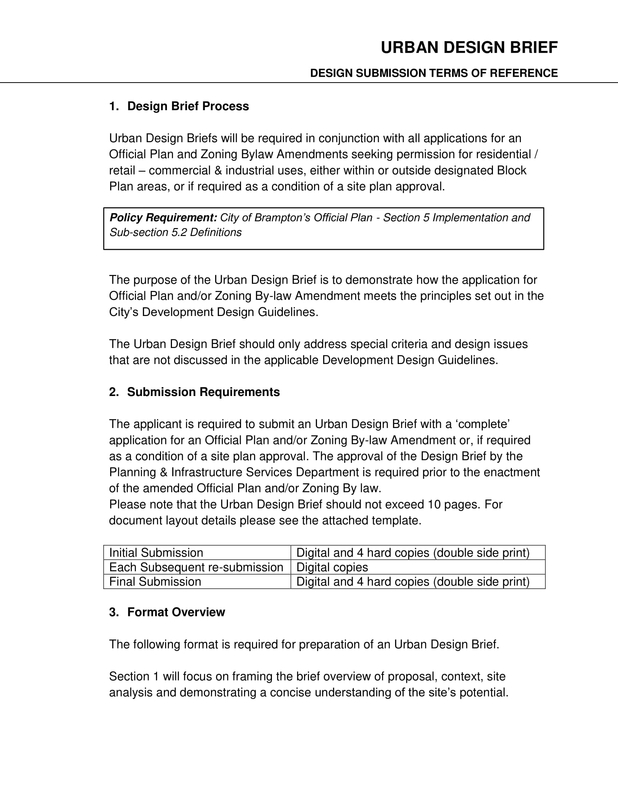 Make sure to check the downloadable brief templates and examples in this post that are used for design-related activities and projects so you can have effective guides when identifying and formatting the content of the particular design brief that you need. A design brief defines the scope of the design project. Hence, this document must contain the most important factors and elements that must be considered by the design team and the clients as well. 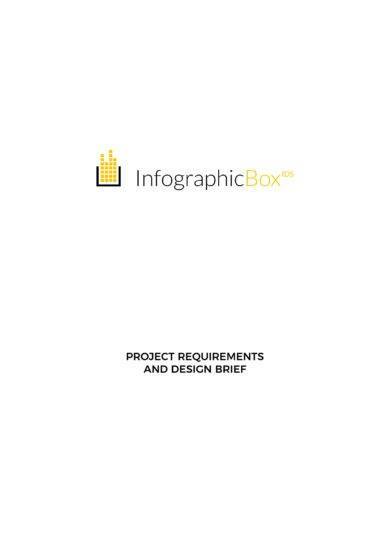 The aesthetic of the project is commonly discussed in this document so that it will be easier to finalize the functions of the design team, the demands and requirements of the client, as well as the budget, time, and other items that must be considered for the transaction to push through. You may also see policy brief templates and examples. A design brief serves as an introduction of the design project. It provides the instructions that are essential to be followed by the design team as well as the obligations of the clients especially when it comes to the identification of the design project particulars that they would like to see once the transaction is done. Design briefs can be used in a variety of industries and fields ranging from interior and industrial design up to architecture and engineering. 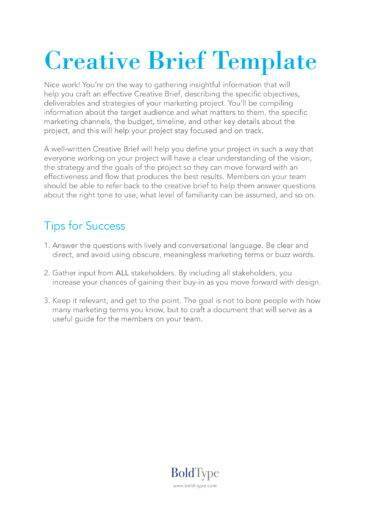 You may also like free creative brief templates and examples. A design brief is used as an initial guide. 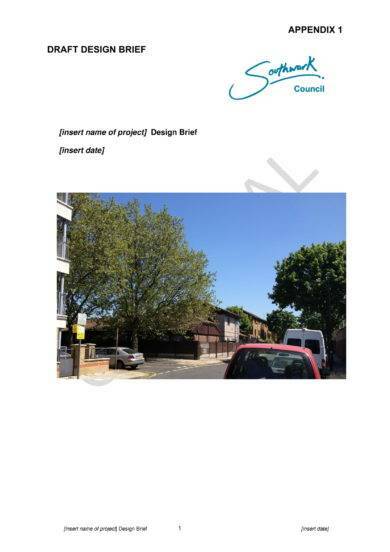 Hence, the content of this document can change as the design project progresses and develops. With the help of a design brief, it will be easier for the design team to have effective decisions about the changes and project shifts that they would like to implement. This only proves that design briefs are essential documents used within the evolution of the project. You may also check out summary writing examples and samples. A design brief is created by a design team or a design expert to make sure that the project where it will be used can be guided accordingly. This is very important particularly in tracking the resource usage and remaining budget of the project. Aside from this, listed below are more reasons why it is important for design briefs to be created in every design-related project or undertaking. You may also see how to write a summary. Developing a design brief helps in outlining the expected deliverable of the project. This means that you need to make sure that the design brief that you will create contains a descriptive list of the products and other raw materials that are essential to be acquired for the project to be completed. You may also like meeting summary examples. 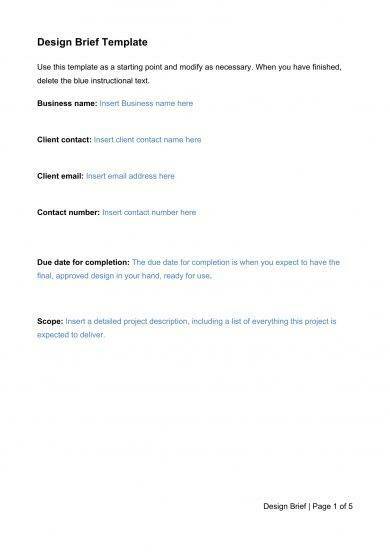 Creating a design brief can be useful to the design team and all the stakeholders of the project as this document can be used as a reference once the design has already been presented or executed. Through a design brief, the clients and the design team can assess and evaluate whether the expected deliverable has been implemented and given accurately. You may also check out movie summary examples. 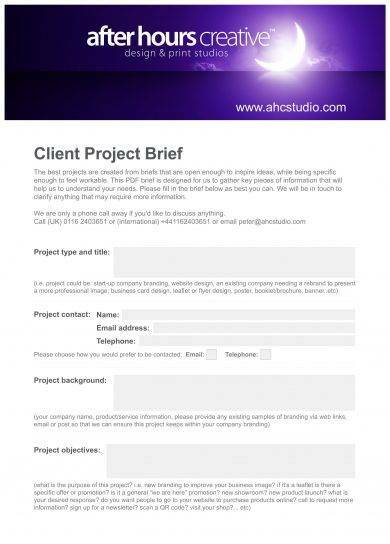 Making a design brief can present the rights of each parties involved in the transaction. 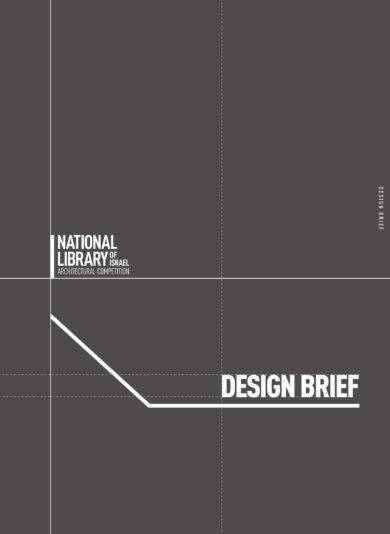 A design brief, like marketing brief examples, is made to disseminate obligations and accountability in a formal manner. Through a design brief, the clients can have a realistic and measurable perception of what the design team can provide them with. On the other hand, the design team can also set the quality standards when it comes to their performance so that they can give what the client needs and expects in a timely manner. What Should Be in a Design Brief? The nature of the design project and the ways on how the brief can be of help in its organized execution. You may also see summary examples. The constraints of the design project which includes the discussion about the project budget, the timeline to follow, and the particular design requirements of the project. You may also like research summary examples. The goals that must be accomplished by the design team at a given time period. You may also check out dos and don’ts in writing a chapter summary. The conclusion for the transaction and other additional information that can be of help to improve and further develop not only the design brief but the project as well. Compared to client brief examples, design briefs must also have the ability to gather the recommendations and ideas of the client. A design brief must have the ability to present a design concept that can supply the needs of a particular design project within the range of the expected quality of all stakeholders. 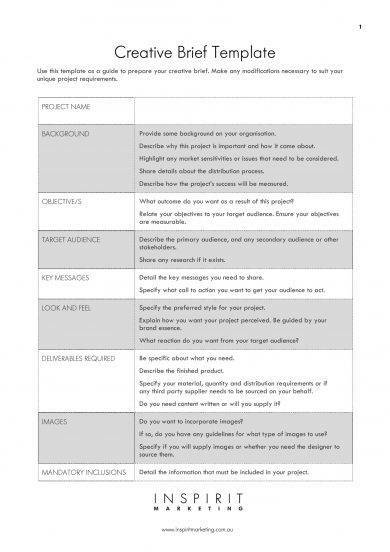 Some useful tips that can help you create an effective design brief are listed below. Present the overall design style, aesthetic, or look that you would like to implement, which should also be based on the specifications of your current clients. Know the audience that your design brief will target. This will help you put together relevant, necessary, and helpful design information. 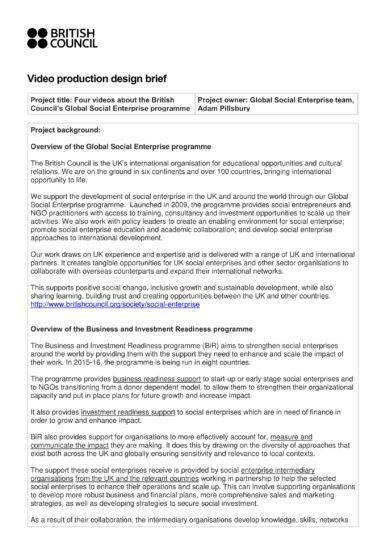 You may also see interview summary examples. 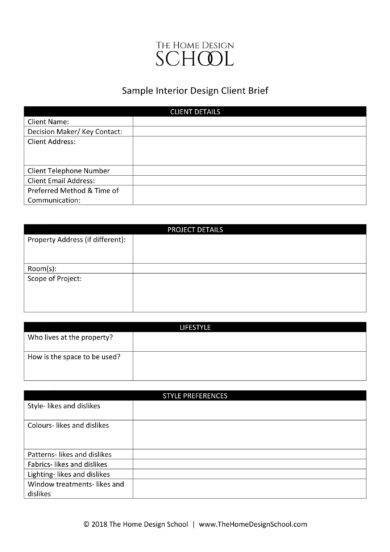 Review the draft of the design brief before sending it to your clients. Make sure that the document is free from grammatical and formatting errors. 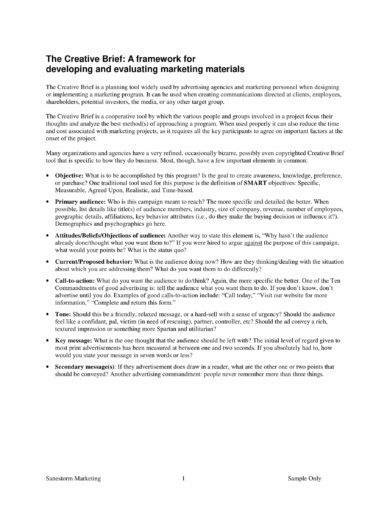 Use outlines and general checklists when it comes to organizing the content of this document. Moreover, ensure that the details in the document are updated and accurate. Planning to create a design brief? Remember that this document should have a well-defined list of the processes that will be executed within a given timeline for the objective and vision of the project to be realized. Do not forget to use references like templates and examples so you can create an outstanding design brief. 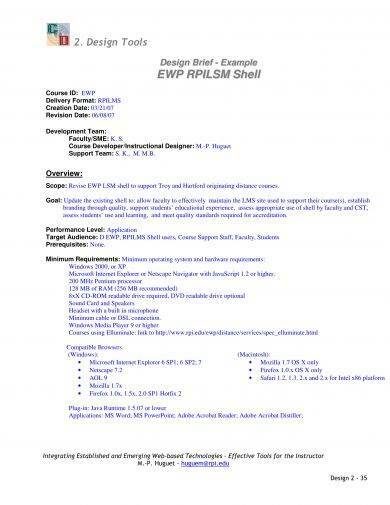 You may also like resume summary examples.